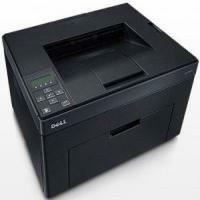 Dell 1350cnw is a simple colour laser printer. It can produce great quality colour and monochrome prints with its high yield Dell 1350cnw toner cartridges. The printer boasts a built-in networking features and an easy-to-use control panel. The device measures 8.9 X 11.8 X 15.5 inches. The input paper feed can hold up to 150 sheets at a time and the output sheets come out from the deep cut on the top of the device. The control panel of the device lies at the top left side of the printer and holds basic one-touch buttons. The print speed of the printer is slightly low. The Dell 1350cnw laser printer is good device for small workgroup it offers built-in connectivity features. Plus the high yield Dell 1350cnw toner cartridges last longer. However, the device is low on paper storage, does not have ADF, and is slow in printing tasks. How to correct the printing problem of random spots on the back of the paper? Q. Why should I prefer compatible Dell 1350cnw toner cartridges available at your site? A. The compatible ink cartridges available at Printerinkcartridges.ie are factory tested to the same ISO standard as the original cartridges. These cartridges produce quality ink results and in case, any fault occurs, our ink cartridges come with a money back guarantee, in case faulty items are supplied. Also, your personal information obtained during transaction for the items purchased at our site will be protected and secured & no third party will have access to it. Q. Where can I get information related to the compatible Dell 1350cnw toner cartridges of your site? A. You can get the details about compatible Dell 1350cnw toner cartridges here: https://printerinkcartridges.ie/dell-inkjet-cartridges/dell-laser-printers/1350cnw . Q. Why does my compatible Dell 1350cnw toner cartridge not fit into my printer? A. This might be possible that the toner cartridges you are trying to replace with has different model than the toner cartridge you were using. Q. Can I use compatible Dell 593-11016 Black Toner cartridges with other printer models? A. Yes, these toner cartridges are compatible with Dell C1765nfw, Dell 1250c, Dell 1350cnw, Dell 1355cn, Dell 1355cnw, Dell C1760nw and Dell C1765nf. Q. What is the RAM and ROM of this printer? A. The RAM and ROM of this printer is 128 MB and 8 MB respectively. Q. Does Dell 1350cnw printer supports coloured prints? If yes, where can I get coloured Dell 1350cnw toner cartridges? A. Yes, the printer supports coloured prints. You can purchase coloured toner cartridges from Printerinkcartridges.ie . To get details about these cartridges, visit: https://printerinkcartridges.ie/dell-inkjet-cartridges/dell-laser-printers/1350cnw. Q. Does the printer supports both wired and wireless connectivity? A. Yes, the printer supports WiFi, USB, Ethernet and wireless connectivity. Q. Is the printer compatible with Windows operating systems? A. Yes, the printer is compatible with Windows. Here you can find some of the solutions for the problems that can occur while using your Dell 1350cnw printer and Dell 1350cnw toner cartridges. Q. What should I do when condensation has occurred inside the printer? A. Condensation usually occurs after several hours after you heat the room in the winters. This may also occur when the printer operates in a location where relative humidity reaches above 85%. The probable solution to this problem is that you adjust the humidity or relocate the printer to an appropriate environment. Q. What to do if the output produced by the Dell 1350cnw Toner Cartridges is too light? A. If the output produced is too light, the toner cartridges may be low or need to be replaced. For this, confirm the amount of toner in each Dell 1350cnw toner cartridge and replace them, if necessary. If the problem persists, verify that the print media is not damp and the correct print media is used. If not, use the print media recommended for the printer. If the problem further persists, verify that the Paper Type setting in the printer driver matches the print media you loaded. If you still find no solution to the problem, Disable the Toner Saving Mode in the printer driver. If the problem is not resolved even now, contact Dell. Q. What to do in case of protruding / bumpy paper output by the Dell 1350cnw printer? Clean up the fuser unit. Load one sheet of paper on MPF and then print solid image all over the paper. Load the printed sheet with the side to be printed on facing down. Then print a blank sheet of paper. If the problem further persists, then contact Dell. Q. How to remove Dell 1350cnw toner cartridges from the printer? Pull the toner cartridge out. Always pull the cartridge out slowly so that you do not spill any toner. Q. I tried changing the printer settings from the operating panel for my Dell 1350cnw printer, but the changes are not accepted by the printer. What is the reason? A. Printer gives more importance to the settings available in the software programs, printer driver and utilities over the one entered from the operating panel. You need to change the settings either from printer driver or printer utilities rather than from the operating panel. Q. Last time when I took a print from my Dell 1350cnw printer, the text characters were not getting printed correctly. How can I resolve this issue? A. Check whether 'Ready to Print' appears at the operating panel before a print task is given. If the problem still continues then check the device driver and USB connection. Also check if you have selected the print media size correctly. Q. What is the reason that I am getting stained printouts while taking print? A. Check whether the Paper Type settings of the printer driver match with the one that you have loaded. Then use a new and dry paper. Then click on the Print Test Page available in the Properties of printer driver to resolve the issue. Q. The printouts which I took using Dell 1350cnw printer contains random spots. How can I resolve this issue? A. Check if the Paper Type settings of the printer driver match with the one that you are using as this may be caused due to uneven paper surface. If still the issue persists then try adjusting the fuser temperature by selecting Adjust Fuser on the Printer Maintenance tab in the Tool Box. Then adjust the temperature by increasing the value. Click on Apply New Settings. This will resolve the issue. If not, then contact Dell Technical Support for assistance. Q. I am getting a blank output while taking prints using Dell 1350cnw printer. What could be the reason? A. Check whether the Dell 1350cnw toner cartridge is installed properly. In case you are using a compatible toner cartridge, try after cleaning the fuser unit by loading a single sheet of paper into the MPF and try printing a solid image on the complete paper. Then load this printed sheet while facing down the side to be printed and then print the blank side. The issue will be resolved. Q. I use Dell 1350cnw printer. I am getting wrinkled pages as the output. What could be the cause of pages getting wrinkled up? A. Check if you have used the correct print media. For this you need to go through the ‘Supported Paper Sizes’ and ‘Print Media Guidelines’ from the Dell 1350cnw User Manual. Q. What causes Auger Marks while printing? A. In case the printer is placed at a high altitude, then you need to set the altitude of that location. For this you need to open the Tool Box and click on Adjust Altitude available in the Printer Maintenance tab and select any value that will be close to the altitude of your location. It can be also caused due to less availability of Dell 1350cnw toner cartridges. The level of Dell 1350cnw toner cartridges available can be checked from the Status tab in the Status Monitor. Q. What causes noise while printing using Dell 1350cnw printer? A. This can be caused due to Dell 1350cnw toner cartridges. Try replacing the Dell 1350cnw toner cartridges. In case the problem is not resolved then go to the Tool Box and click on the Machine Check button under the Diagnosis Tab. Then select Main Motor Operation Check and click on Start and then select Play of Sound button. This will cause a sound to play that is the sound of the motor. If the sound resemble the noise that you here it is coming from the printer motor and you need to contact Dell Technical Support team.